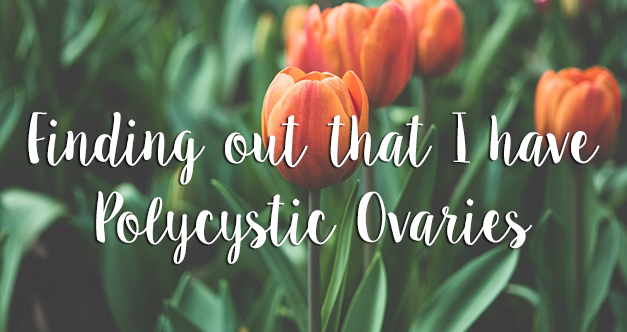 Pursuit of Felicity: Finding out that I have Polycystic Ovaries (PCOS). Finding out that I have Polycystic Ovaries (PCOS). Please excuse the photo I selected for this blog post. 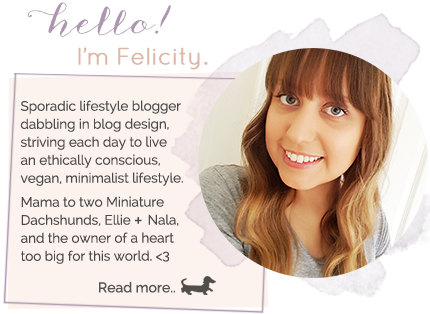 It was hard to find something appropriate, so I settled for simple and pretty - something this blog post, and PCOS, is not. To put it simply, if you don't know what PCOS is, it is basically when you have a whole list of symptoms caused by a hormonal imbalance. The main symptom of course being ovarian cysts. I still don't know a whole lot about PCOS myself, all I know is that I have it (I found out on Monday) and that many of the symptoms I have been experiencing over the past few years can be explained by it. I also know that having PCOS could make it harder for me to have children down the track. If you know me at all by now, you will know that having children is the most important thing in the world to me. So to be told that there is even the slightest chance that I could have trouble with my fertility was a huge shock to the system. Of course there are plenty of people with PCOS who fall pregnant, but you don't tend to hear about those experiences as often as you hear about those who continuously miscarry or fail to fall pregnant altogether. I am turning twenty-six next week, and before my ultrasound results came back on Monday I had no intention of even trying for a baby until I was at least thirty. This has since changed, and the latest that I want to start trying to have children is now twenty-nine, but even then I feel like I'm pushing it. So what are my symptoms? Well aside from finding out that my ovaries are basically covered in cysts (not just a few, covered), I have also been experiencing spotting and pain in my ovaries every month around the time of ovulation, horrendous cystic acne on my chin, and gaining a lot of weight around my midsection that has been particularly stubborn and hard to get rid of. Fortunately I don't appear to be experiencing some of the more unsightly PCOS related symptoms (such as male pattern hair growth), and my periods are still very regular and not too heavy at all (which is a great sign for my fertility!). I'm actually very grateful to finally have an answer for my weight gain and acne in particular, because now I can find more successful ways of treating them. Other than wanting to share what's been going on in my life, I've actually written this post in case any of you are experiencing similar symptoms. Don't feel embarrassed or as though you are a burden by asking your doctor to send you for an ultrasound. The reason I went to my doctor about this in the first place was after reading someone else's blog post on the topic who had similar symptoms to those I did. Sure, it could have just been a coincidence, but in my case it wasn't at all and if I hadn't been proactive I might not have found out until years later when I was actually trying to conceive.